Believing in Jesus. Submitting to God. Filled by the Holy Spirit. Loving the Truth. Watch our non-copyrighted full length teachings on YouTube. Click here. Bulk Set of DVDs and CDs @ 27% discount now available! We have recently compiled a bulk set of ALL our DVD and CD products in one wallet - a breathtaking set of 63 DVDs and 4 CDs. If you were to purchase them separately, they would have cost you a healthy R5925-00. The bulk wallet now makes all these products available at a mere R4370-00 - representing a healthy discount of 27%. This set is a MUST for prayer groups and especially house churches. Click here and order now! This offer is valid as long as stocks lasts. Clarifying Issues surrounding DSC (Demonic Soul Copy) Ministry. 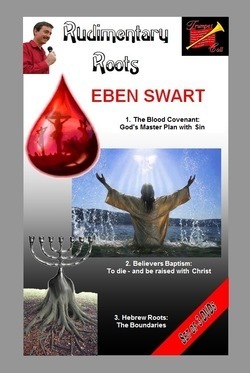 3 Apr 2016 Eben Swart in Boksburg this weekend. 1 Apr 2016 April fools! 31 Mar 2016 Zuma requests Christians to pray for Nkandla; lashes out at Malema's UNISA degree. 9 Mar 2016 Eben Swart in George this weekend. 28 Feb 2016 Clarifying issues surrounding DSCs (Demonic Soul Copies).